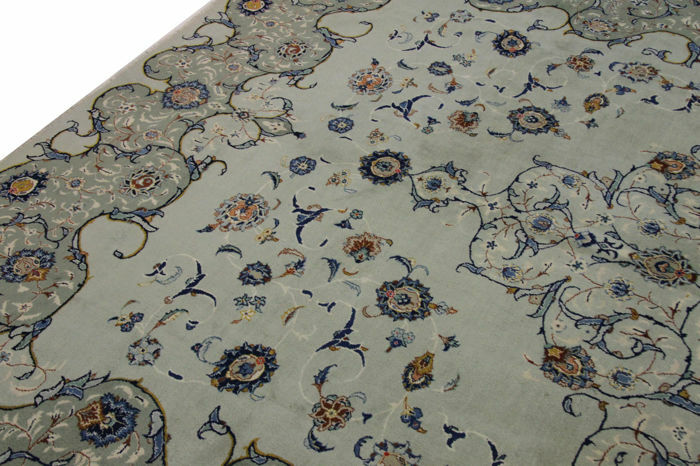 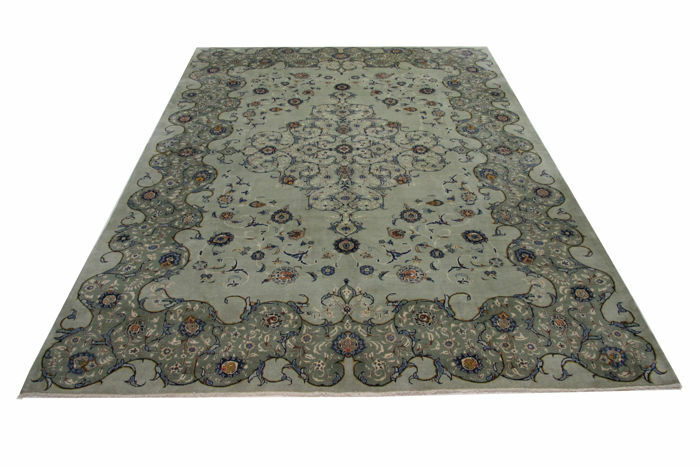 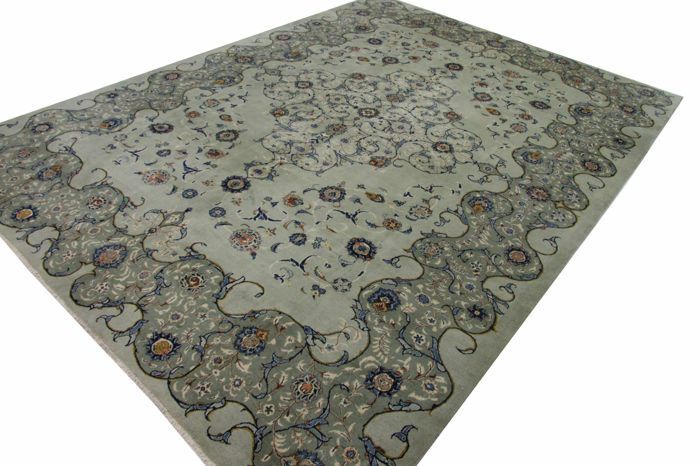 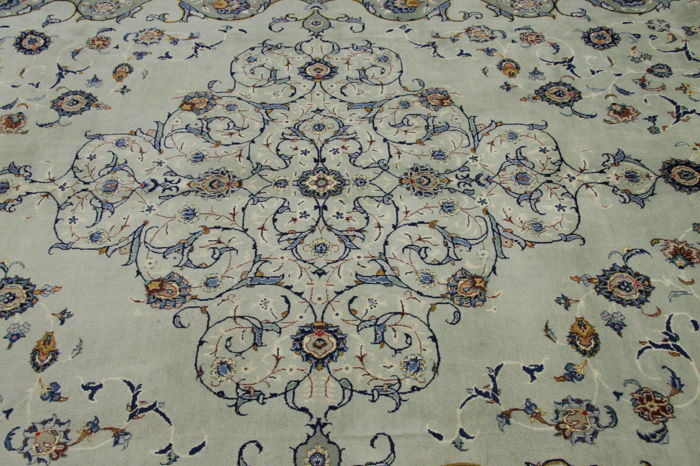 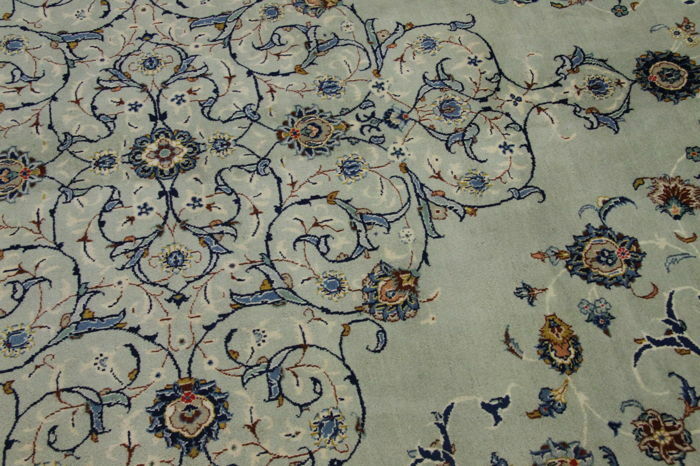 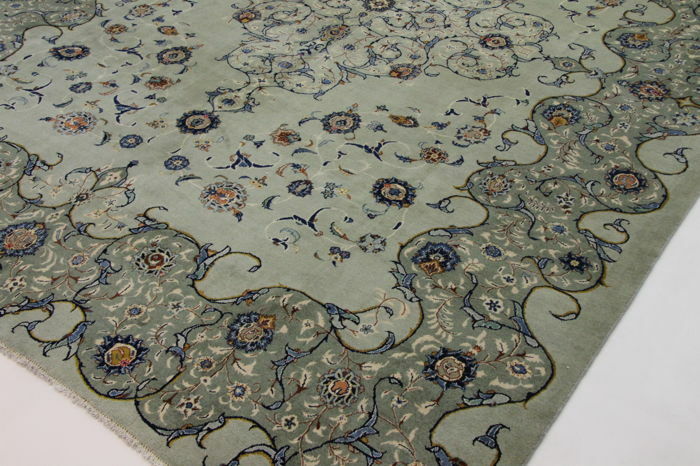 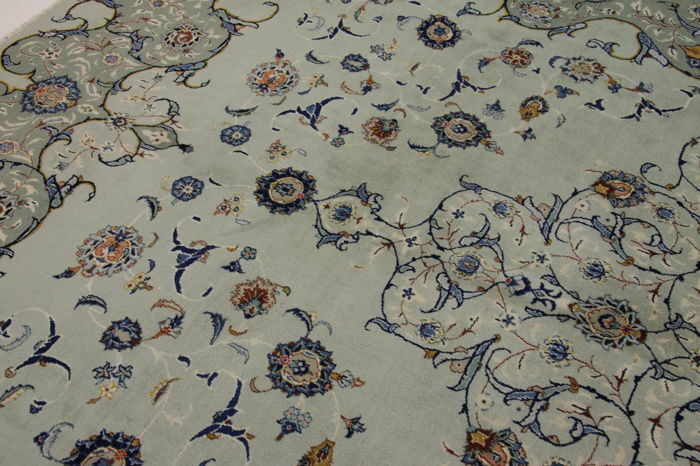 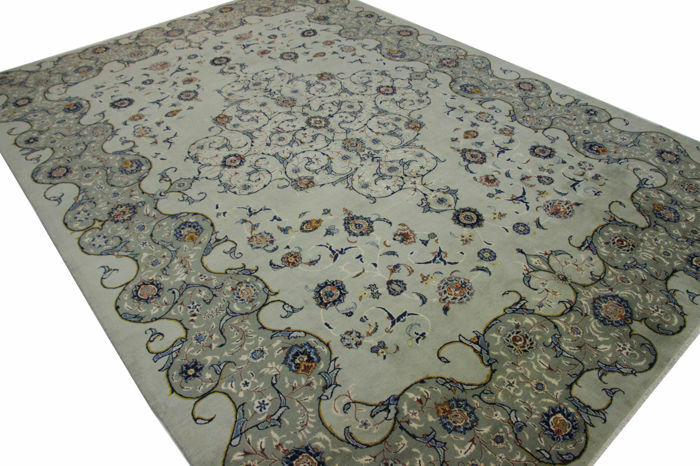 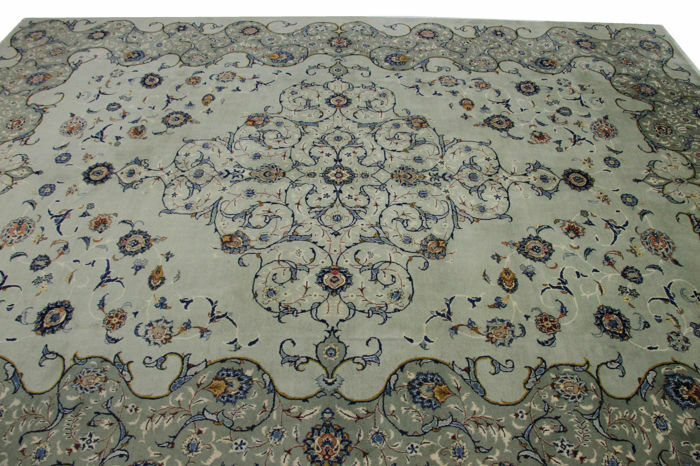 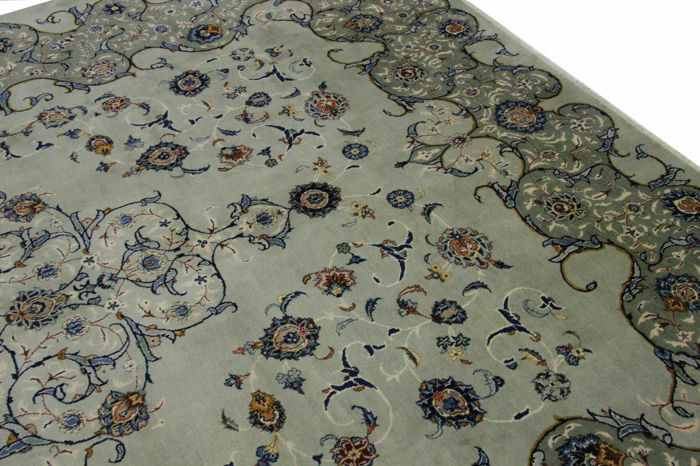 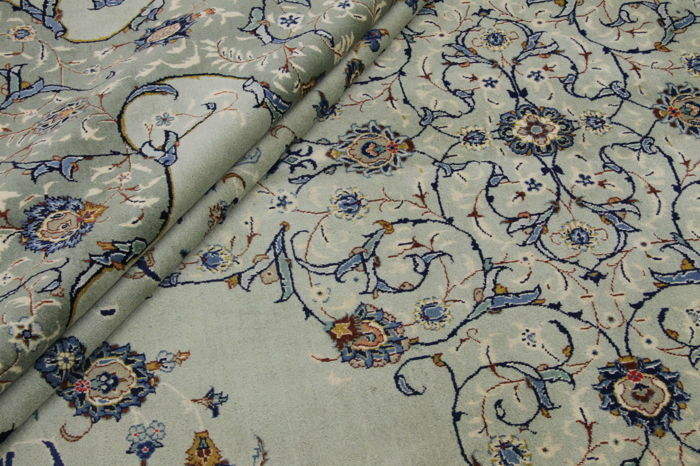 A guaranteed hand-knotted Kashan Persian carpet. 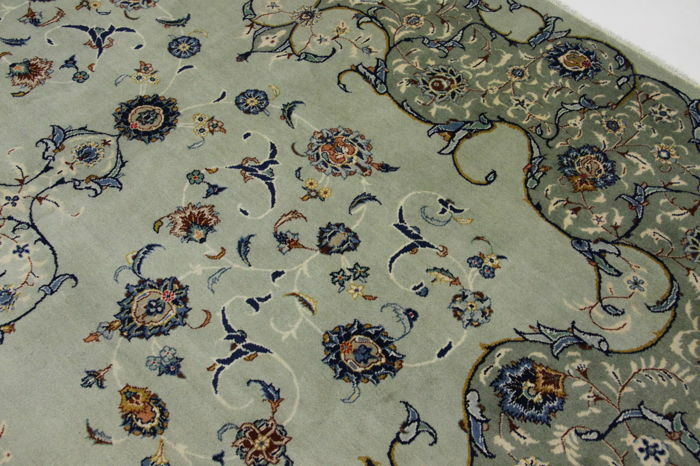 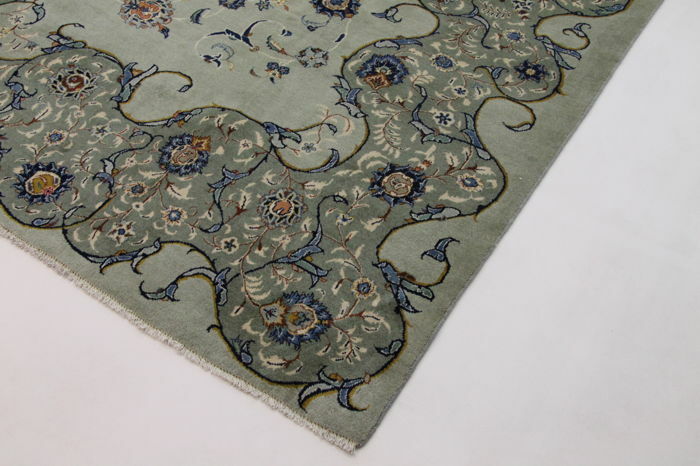 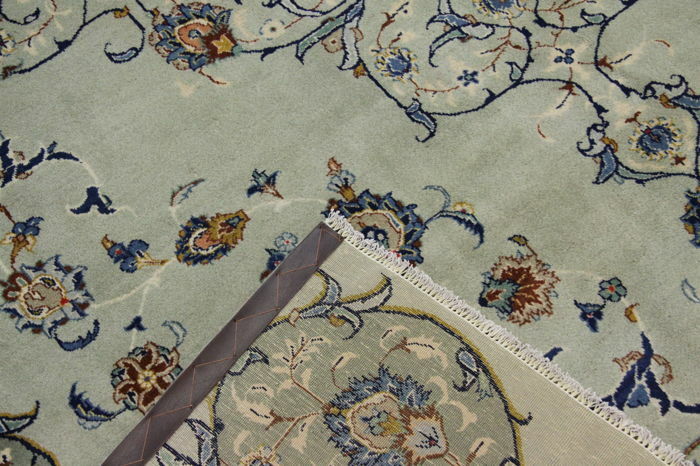 All of our carpets are ecologically cleaned by hand according to tradition, you can use our carpets immediately. 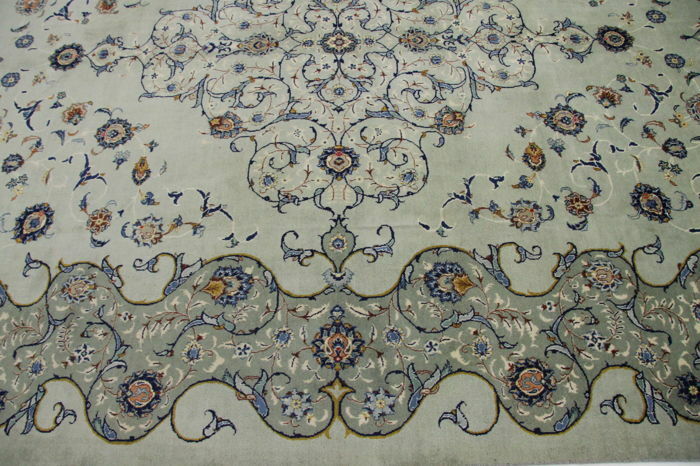 With tracking number to follow the shipment. 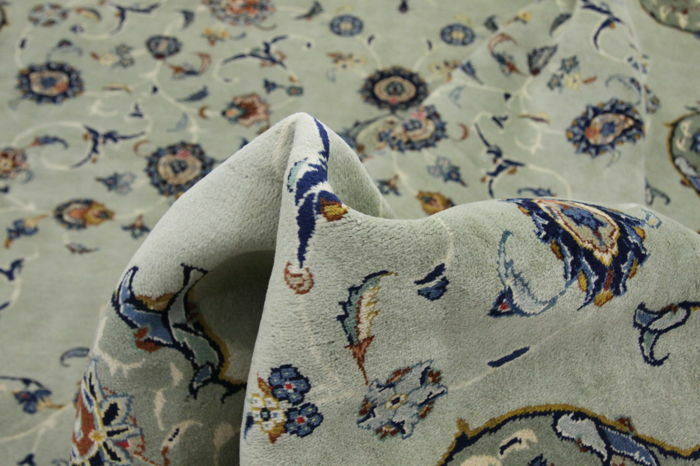 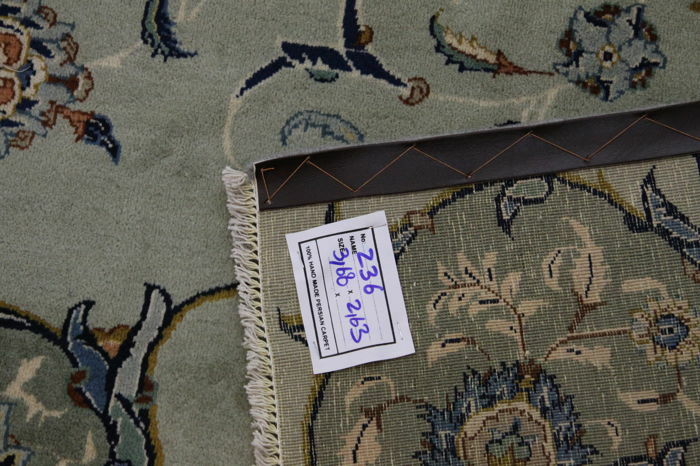 This carpet was exported from Iran before 1 January 2015! 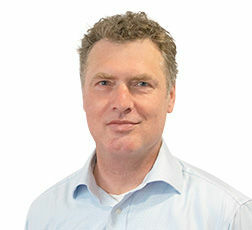 U kunt dit kavel ook ophalen bij de verkoper: Hamburg (), Duitsland.